Thanks to all of you who took the informal re-entry/repatriation survey that I conducted with my re-entry colleagues this spring! We had well over 200 responses from a wide variety of globetrotters. 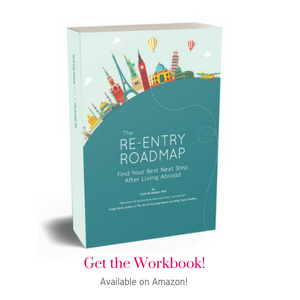 In this post I share a summary of the results and invite you to two upcoming re-entry webinars – one for coaches and one for returnees (and you can still get instant access to my Re-thinking Re-entry After Study Abroad webinar here). Most people said they received no support at all! In addition to the above questions, we left space for your open-ended comments…and wow, we got pages and pages and pages and pages of them! Re-entry can be a very difficult transition. Returnees aren’t getting the help and support they need and want. Returnees want help processing their complex emotions and reflecting on what they learned and how they’ve changed while abroad. It’s also clear that difficult is defined differently depending on the returnee, why s/he went abroad, who s/he was abroad with (or without), why s/he returned home, family, friends, personality, etc. While there are some re-entry universals, re-entry is a highly individual experience and returnees have varied experiences, needs, and goals. 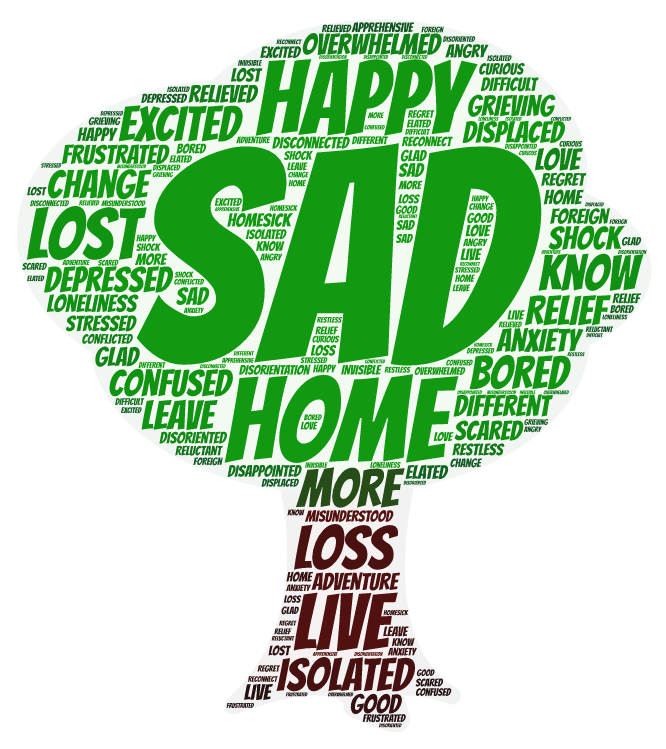 It’s also clear that returnees want help in processing their complex and often contradictory emotions. 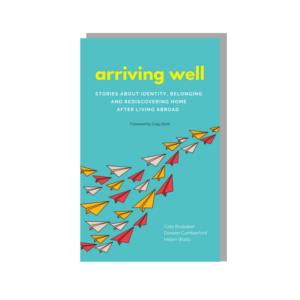 They want to deeply reflect on what they learned and experienced and how being abroad has changed them…yet most returnees aren’t finding the help they seek. Most employers, study and volunteer programs that send them abroad aren’t meeting returnees’ re-entry needs, and while the commonly-used strategies of talking with friends and family, joining online groups, and reading books/journaling help, they only take returnees so far. Clearly, there is work to be done in the re-entry space…but can I share a secret with you? Even though returnees often say they want help in re-entry, I’ve noticed a lot of resistance to re-entry help. Students don’t participate in re-entry programming, returnees are hesitant to work with coaches, re-entry workshops remain empty, re-entry coaches decide to change their coaching focus, and conferences continue to gloss over the topic of re-entry. It’s time we change this! These three things reinforce re-entry resistance and not only prevent returnees from getting the help they want, but also from having a positive and growth-foucsed re-entry that leads to even bigger and better things. I’ve spent the past few years investigating re-entry, and creating and testing new language, concepts, and tools with all kinds of returnees. I’m thrilled to report that what I’m developing is getting an excellent response! I want to not only help returnees, I want to help those of you who work with returnees. So, I’m hosting 3 “Re-thinking Re-entry” webinars – and I hope you’ll join in! I’ve already hosted the study abroad webinar but you can sign up below to get the replay. The coach webinar is scheduled for Tuesday, August, 29 and the returnee webinar will be on Tuesday, September 19. Read more about each one and sign up below! Join my 5 Simple Ideas for Helping Your Coaching Clients Through Re-entry/Repatriation webinar on Tuesday, August 29 at 12pm EST. In this webinar I’ll share new re-entry language and concepts I’ve developed that are resonating well with returnees. These insights and resources will help you better serve your expat clients. Bonus: you’ll get access to the materials from the webinar, which you’re welcome to use in your coaching! Join my upcoming Re-thinking Re-entry: 5 Tips for Returnees webinar on Tuesday, September 19 at 3pm EST! We’ll discuss..
1. The #1 mistake most returnees make (and how to avoid making it yourself). 2. How to make re-entry a positive, growth-focused experience that leads to even bigger an better things (instead of a negative one). 3. The key to finding your next global adventure at home or abroad. 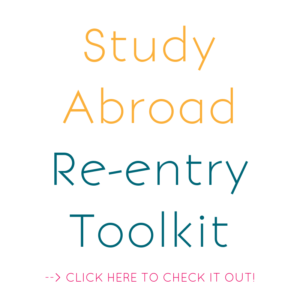 Sign up below to get instant access to my recent Re-thinking Re-entry After Study Abroad webinar! Enter your details and you'll get immediate access to the webinar replay!